According to a new report from Pew Research Center, for the first time ever more adults in the US now get their news from social media than from print newspapers. Last year, the number of people who got their news from social media was on par with those who read newspapers, however, this number has now jumped to one-in-five US adults compared to 16 per cent for newspapers. Despite this shift, social media is still lagging behind other traditional news sources, such as TV and radio. After its initial foray into Sponsored Results back in 2012, Facebook is now looking to bring them back – as the platform announced it’s testing search ads in its search results and Marketplace with a small set of automotive, retail and e-commerce industry advertisers in the US and Canada. The new ad format will be “repurposed News Feed ads featuring a headline, image, copy text and a link in the static image or carousel format that can point users to external websites”. It’s hoped that search ads will prove an effective additional revenue stream, as Facebook continues to see great results with new formats such as advertising within Stories. Facebook’s TV-style service, Facebook Watch will now let brands across 40 countries – including India, Singapore, Italy and Hong Kong – buy ad space within its content. In the new year, the platform will also begin testing new placements, such as the ability to slot ads into influencers’ live streams; and will be looking into the potential for wider sponsorship deals in the future. The platform claims that “each month 400 million people now spend at least one-minute using Watch” with 75 million daily users spending on average more than 20 minutes on the feature. The social network has announced a redesign to its long-running Life Events feature which will enable you “to add animated photos or videos, photos from the people or Page you’ve tagged”, and more to your key life moments – such as getting engaged or starting a new job. The photos and videos will include subtle animations, like slowly zooming in, and the platform will also alert friends when you’ve shared a new life event. In addition, when someone reacts to your life event they will now be shown all the other reactions from friends alongside their own. The update is currently being rolled out globally. After receiving a bashing from the critics since its launch, Facebook has added a whole host of new features to its Portal device including a web browser, several of Messenger’s Instant Games, new augmented reality features such as Masks, a manual zoom mode, and more – as a way of enticing buyers. The platform has also said it’s hoping to add Google Assistant to the device in the future, though no work has currently been done on this. According to the Hollywood Reporter, Instagram is currently testing a new type of account for influencers with large followings which will grant “access to insights about follows and unfollows, as well as the ability to filter direct messages from different groups of followers (such as brands and IRL friends)” and control how others can contact them. The new Creator accounts are currently being tested with a small number of users but are expected to be rolled out to more users in the near future. 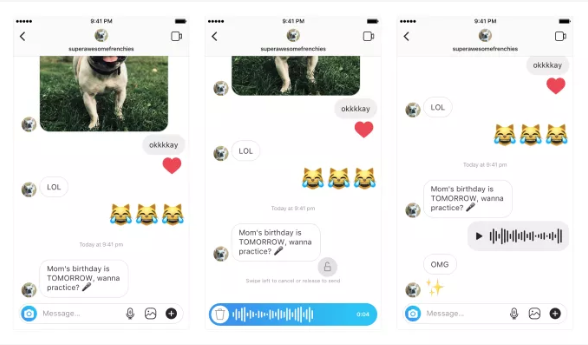 Voice messaging is coming to Instagram DMs. The platform has rolled out a new feature for iOS and Android which will enable you to send audio messages up to one minute long in private and group chats. To use the new feature, simply hold down the microphone button and speak. Users then have the choice to release to send or swipe to delete and record again. Snapchat is releasing a suite of new location advertising features for retailers. The first, its visitor re-engagement audiences option will allow advertisers “to retarget previous visitors to their stores and create lookalike audiences based on those visitors”, as well as select the frequency of the visitor they wish to target. The platform has also introduced a new chain locations targeting feature, allowing retailers to create a radius around locations to easily scale campaigns. These build on the “good performance” of location targeting and filters launched this year. YouTube is integrating its Music Charts feature into its YouTube Music app across all 29 markets. 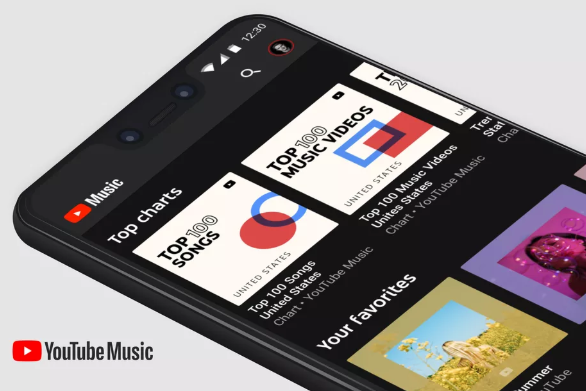 Music Charts will now appear on the home screen and in search on the Music app, and users will get five charts playlists: three specific to their country and two global lists. Charts will be updated weekly and can be added directly to your library, to help to stay up to date with the latest bangin’ tunes. Gaming has continued to grow as a cornerstone of internet culture this year, as more than 200 million people now view gaming content on YouTube – equating to more than 50 billion hours of video content in the last 12 months. Added to which, video-game-centric platform Twitch also now sees 500,000 streamers going live every day, with streamers per month topping 3 million this year. adidas is giving its fans a new way to try on the latest trainers, kind of, in its latest ad campaign utilising Snapchat’s AR capabilities. The “AR option lets you select a pair of shoes, which are then placed on the ground via the Snap camera’, so you can see how they’ll look on your feet. The campaign is a great showcase of how Snapchat’s AR tools can be used to promote other items within the fashion space, with Sephora and Amazon already making strides in this space. The new adidas Snapchat Lens is currently available in selected regions. The post We Are Social’s Monday Mashup #427 appeared first on We Are Social.